Have your mind set on qualifying for Kona? 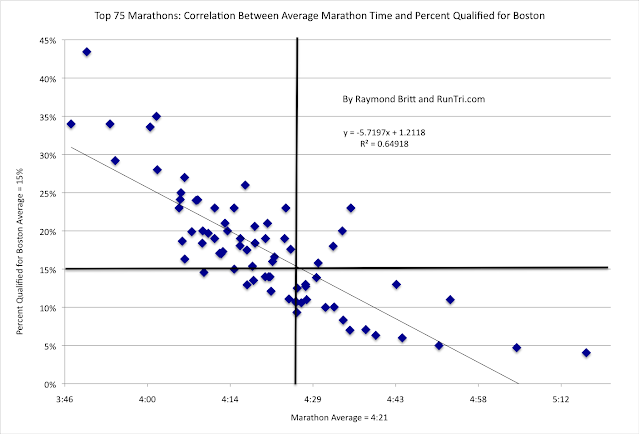 Think your chances of qualifying on any 26.2 mile marathon course varies much? Turns out, it does. Not unexpectedly, the events with the fastest overall times yield a higher percentage of Boston Qualifiers.